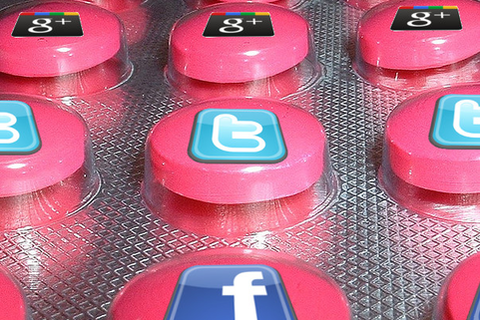 As more and more patients begin using social media as an information source and a support network, it's inevitable that they'll begin to interact with representatives of pharmaceutical companies looking to use new technologies to inform and educate. While consumer-industry interactions are not new -- Comcast crawls Twitter for those in need of tech support, and Gatorade sends electronic high-fives to high school athletes -- links between drug companies and those they serve are more fraught, with some patients celebrating dialogue and others warning that such relationships are intrinsically inappropriate. This panel -- including patients, advocates and industry -- will explore the ground rules of "friending" big pharma and the ground rules that biopharma firms must play by to ensure patients aren't taken advantage of. Alicia Staley is a 3 time cancer survivor committed to making a difference in the health care community. Ms Staley started the Staley Foundation in October 2007 as a way to work toward education, advocacy, and assistance for those affected by cancer as patients, caregivers, family, or friends. She shares her passion and enthusiasm for helping the cancer community by contributing to www.awesomecancersurivor.com and www.thehitcommunity.org. With an engineering background and MBA/MS degrees in information systems, Alicia is working to find ways to bring difference cancer communities together to leverage knowledge, solutions, and support in efficient, effective ways. Allison Blass is Assistant Editor of DiabetesMine.com, one of the leading diabetes blogs. She is a former PR professional, having worked in healthcare and consumer lifestyle. Allison was diagnosed with type 1 diabetes in 1994 and has spent the last 10 years writing about diabetes for a variety of diabetes publications, websites and organizations. She also regularly speaks at diabetes and digital media conferences, and consults with diabetes pharmaceutical companies. Allison lives just outside New York City with her husband. Public relations is entering its most exciting phase yet: new communications tools mean that more people can tell more stories in more ways. In some cases, these storytellers will be journalists, who are using new media and new techniques to add richness to their product. In others, it will be individuals or organizations who realize that they have the tools to share their narratives with an engaged audience. My goal as a communicator is to seize the opportunities of their new age of media, using writing and media relations skills to improve the way that health and medical information is understood and consumed. I bring 15 years of experience grappling with these issues, both here at WCG and in past lives that have included positions as a Bloomberg reporter, a Washington Post blogger, an NIH writer and a freelance journalist. Kerri is the creator and author of www.SixUntilMe.com, one of the first and most widely-read diabetes patient blogs. She has contributed to many diabetes-related websites and publications, and is a passionate advocate for diabetes awareness. Well-versed in social media and its influence on patients, Kerri presents regularly at social health conferences and currently works full-time as a freelance writer and social media consultant. Kerri lives in Rhode Island with her husband and their daughter.